We feel pretty fortunate to be entrusted by The Cridge Centre for the Family to showcase all the amazing work that they do, and as a result, meet all the amazing people doing it. We had never heard of the Cridge Respitality Service when they first introduced it to us, and now, we want everyone to know about it. Why? Because it provides parents and guardians of a child with special needs some much-deserved rest and rejuvenation. To show how the program works, we visited the home of Rachel and her two children, Devyn and Jordyn, to catch a behind-the-scenes glimpse of what their daily life is like as a family experiencing special needs. Then, with thanks to Cridge partner Abigail's Hotel, we were able to capture the program in its essence - Rachel and a friend enjoying the amenities that a night away from home brings. Our stories wouldn't be nearly as powerful unless we heard from the participants themselves. This video truly showcases who they are, how they handle stress with grace, and how important a program like this is for them and their families. We have worked on many projects with The Cridge Centre for the Family, but none has been quite as enjoyable as our video for the Seniors' Services program. Early on we decided that hearing the stories of the residents themselves would best paint the picture of life at the Cridge, and letting their personalities shine through couldn't have been a better choice! Over the course of a full day, we both interviewed our selected residents and then stepped into their world for a brief moment. For Richard, an avid artist, that simply meant working in his beautiful studio space to highlight the amazing rooms offered by The Cridge. Marcia invited us along to lunch to showcase the social element of living on the property (not to mention the fantastic food), while Donna and Walter took some time to interact with children from daycare program to show just one of the many activities seniors have access to when living on site. Through those simple little scenes, we were able to touch on each of the core elements of the Seniors' Services in a more subtle tone than a traditional commercial - a perfect example of using effective storytelling to advertise a service! Our latest project with The Cridge Centre for the Family ent outside the bounds of the facility itself, showcasing the Brain Injury Services (BIS) Meals Program, which helps survivors through training and employment opportunities in the food sector. For this story, we chose to profile two of the program's members - both of whom suffered a traumatic brain injury in their youth. Now both Alicia and Matt are actively working in the community, and we caught up with them on the job to help illustrate their success. From the Oaklands Bible Chapel kitchen to the cafeteria at Pacific Christian School and the Oaklands Sunset Market, our crew spent several weeks documenting the various elements of the Meals Program, and then weaved the scenes together in editing to create a cohesive and visually dynamic piece. It is always a tremendous pleasure to tell such personal stories, and see the grace with which these survivors are overcoming challenges and making a positive impact on the world around them - something that is just a way of life at The Cridge. Another in the long list of remarkable services offered by the Cridge Centre for the Family is their Transition House for Women, which offers a safe place for women who are suffering abuse at home. The staff asked us to develop a video that would showcase the profound benefits of their program, while also respecting the sensitive environment that they operate within. After a brainstorming session and much discussion, we worked with the Cridge to identify a past survivor who would be willing to share their story on-camera with us. It’s not a simple request to make – asking someone to open their personal lives to help demonstrate the benefits of a program – but from the moment we first met Jeannie and her boys, it was evident that the impact of her time with the Cridge was an invaluable part of her journey. We spent an afternoon at the Transition House to capture interviews and some scenes with the women and staff using the Centre’s resources – from counselling services to meal and social programs. Clearly the emotion of the story is central to the piece, but we were careful to also highlight the positive side of the Women’s Transition House and the role it can play in helping women from across Vancouver Island take the next step in their lives. Every day we are astounded by the good work that happens with the walls of the The Cridge Centre for the Family, and sincerely hope that our videos help expand the services that they offer each and every day. We’ve been fortunate to work with The Cridge Centre on various projects for over a year now, but one thing that never fails to surprise us is how much they always have on the go, and how far their services extend into the greater community. Such is the case with The Brain Injury Services (BIS) program, which was established in 1991. BIS provides supportive housing for survivors of brain injury in Greater Victoria complemented by services that provide a continuum of care, support and opportunity. One survivor that went through the BIS program over a period of fifteen years is Brian Loof. Brian, a diabetic alcoholic, fell and hit his head one evening in his living room and went into a diabetic coma. Once he came to, he had lost five to seven years of his short-term memory as well as so many essential skills, from eating to bathing. It was a long road back - from being in the hospital for a year, to the Cridge’s Macdonald House, to Mary Cridge Manor, to finally living on his own again. With so much hard work from Brian, the Cridge staff, and his family, it was awesome for us to see just how far they had come and share his journey. When telling a story of the past, it can be limiting to translate it to video without the use of reenactments, so we deployed the use of old photos to assist. Additionally, we effectively took Brian back to the past with a visit to Macdonald House to show us where he had spent so many years of his life, and how that time shaped his life today. It is always helpful to use secondary voices to help tell Brian’s story, so we interviewed his mother Dorothy and BIS Manager Geoff, who both did a fantastic job of supplementing Brian’s story. Lastly, as we didn’t have images to tell the story of his hospital recovery, we went searching for the closest set of ambulance lights to put into effect. Sometimes when your options are limited, it’s time to get creative! Our second adventure with the team (and the kids) at The Cridge Centre came with summer in full swing, and preparations well underway for the new school year. The goal was to create a video that showcased a typical day at Nature Preschool - the first program of its kind in Victoria, offering kids the chance to connect to the environment while learning about the world around them. While much of the program is hosted on The Cridge property in their lovely Garry Oak meadow, it was also important to showcase one of the many field trips offered in the preschool. With their oh-so-adorable matching jackets, the group set out for Beaver Lake to spend the morning chatting with horses and building elaborate stick homes in the woods. There's clearly no shortage of imagination in those little minds, and it was a very special opportunity to capture some of those moments on camera. As always with kids, sometimes it's best to just hit record and let them do their thing. This spring we joined forces with the team at The Cridge Centre for the Family to help promote their SunFun summer camp. It's a program that allows kids to explore the beautiful forests, beaches and parks across the Capital Region - and we wanted to ensure we captured as much of that experience as possible in the video! We began our story at The Cridge Centre itself, with the kids loading onto the bus and setting off for a day of adventure at Mount Douglas Park. And it wasn't long before the young kids made their way to the beach for a morning filled with games and activities, while the older group split off to tackle the hike to the top of the hill. 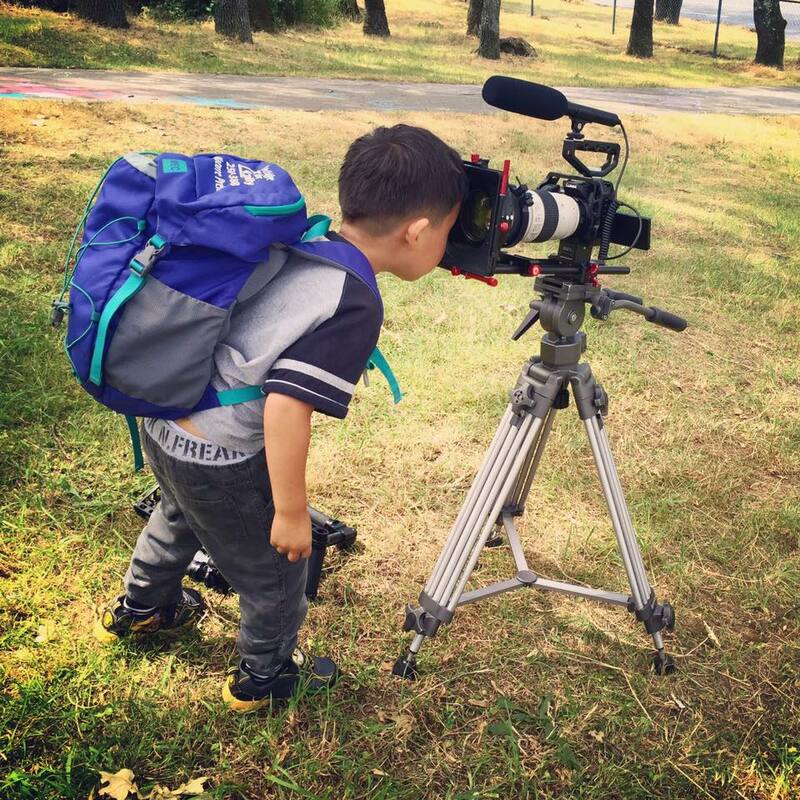 Cute kids are always a guarantee in the realm of video - and in this case, the children were an absolute blast to work with, allowing our crew to get into the thick of their games with our TurboAce Allsteady Pro 6 gimbal or peeking over their shoulder for our favourite scene (the daisy chains)! On this project, we also implemented one of our Digital Marketing Plans which helped take the organic views on Facebook from 6,000 to more than 25,000 in the span of a month! Now we embark on a second video with The Cridge, highlighting their Nature Preschool - watch for that clip this fall!